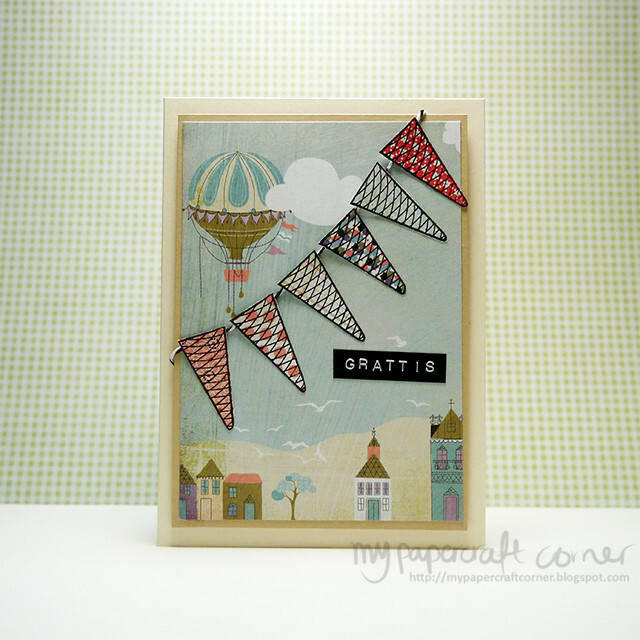 This Monday I'm sharing another card with some patterned papers. I also used a stamp from Simon Says Stamp to create the flags, it's actually an ice cone stamp. And again I got to use my old Dymo Label Maker. Thank you for sharing this lovely design, it really gives that 'home' feel to it and look absolutely fantastic. The Dymo tape really adds to it to create a whole new level of awesome. Thank you for sharing and thank you for making Dymo part of the creation!